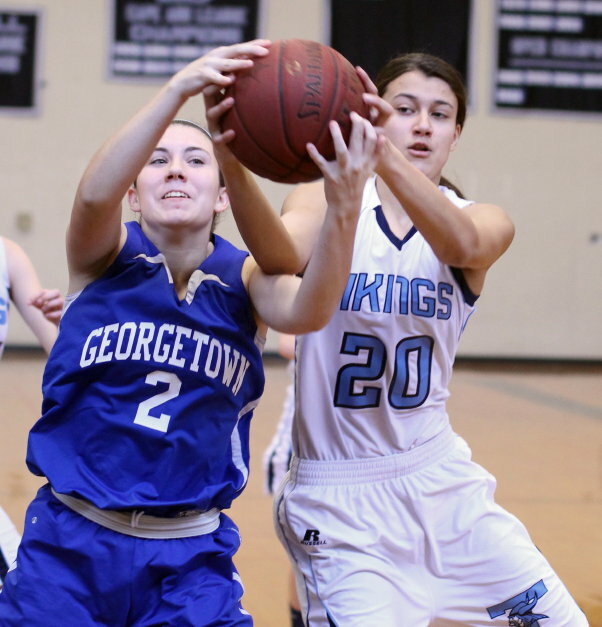 (Byfield MA) Triton gave away a huge lead but held on to defeat Georgetown, 43-38, on Monday afternoon in Cape Ann League girls’ basketball. The Vikings (6-7) have now won three straight games. 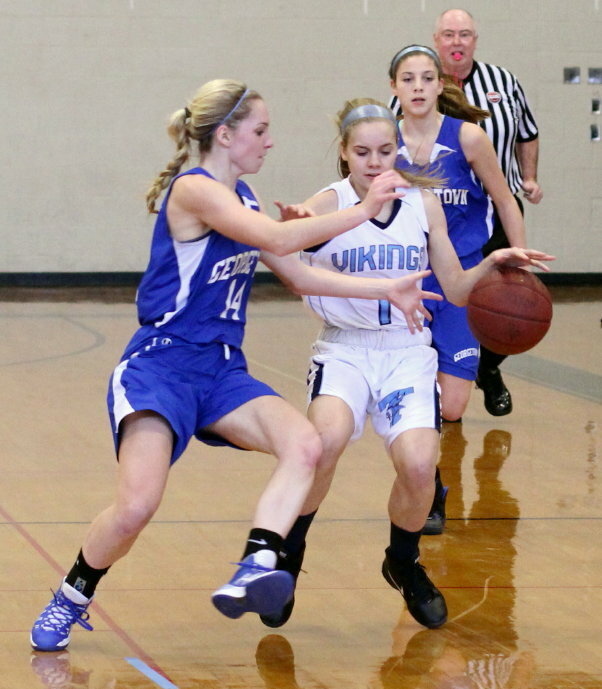 Sophomore Tessa LaFrance led Triton with sixteen points, getting eleven of those points in the Vikings’ remarkable 17-1 first quarter. 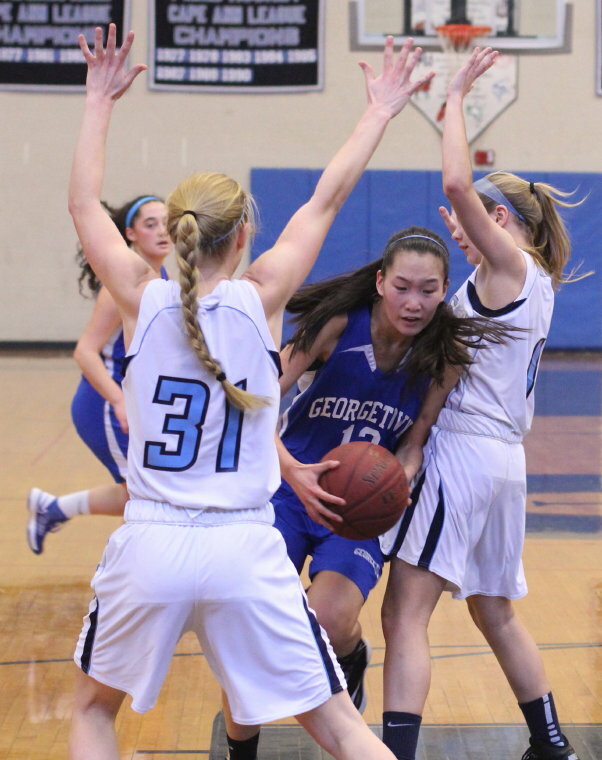 Georgetown (6-6) looked to be feeling the effects of yesterday’s 64-48 win over Saugus in the early going. 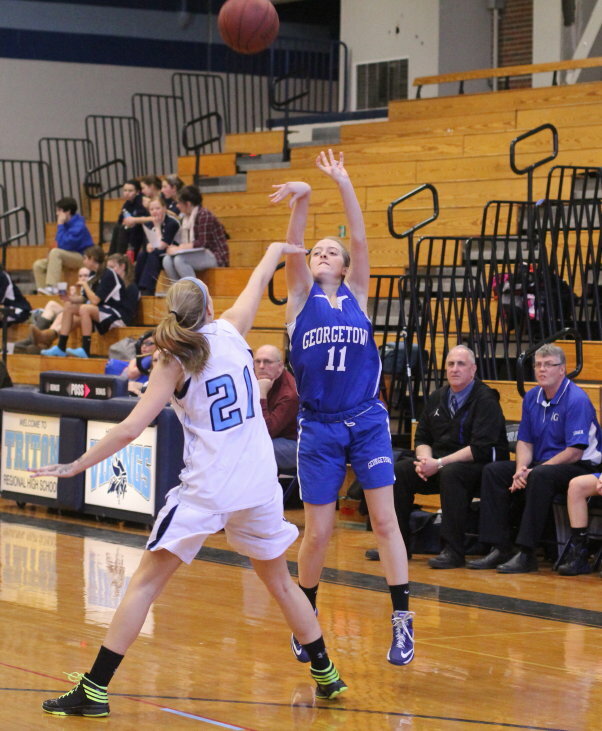 Triton had several coast-to-coast layups at the beginning as the Royals failed to get back on defense. Credit Triton, they chose to limit the touches Maya Spence (22 points against Saugus) would get with a box-and-one defense in the first half. Megan Muldowney, Melanie Primpas, and Hannah Clark all put in time effectively denying Maya the ball and the Vikings got off to a great start. The Royals first point (free throw Cassidy Troy) came with 3:15 left in the first quarter…….and it was their only point in that quarter. That sizable deficit, down sixteen after a quarter, could have been the start of an afternoon laugher but it wasn’t. 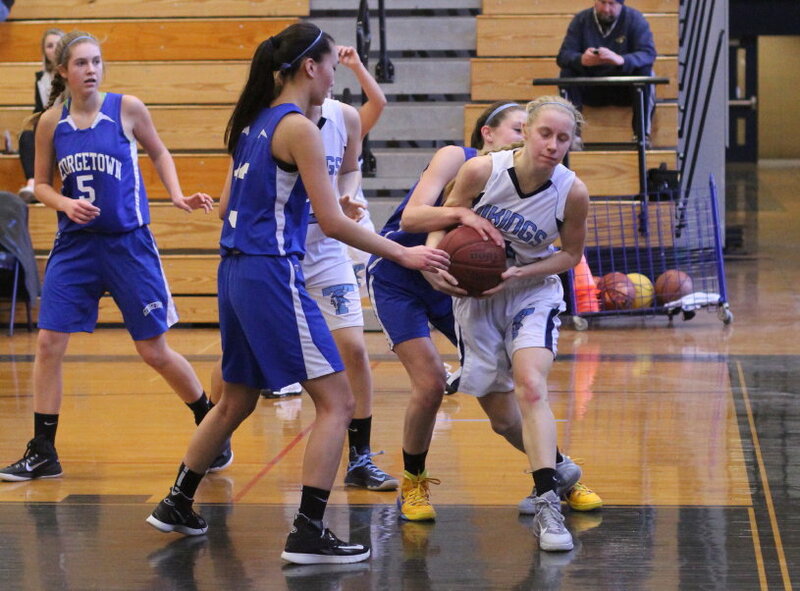 I saw the Royals “out” of a game against Newburyport Friday night but the next thing I knew some of their 3’s started to drop and their trapping defense began to work. That’s also what happened in this game. The visitors trailed by nine (32-23) after three quarters. Enter junior Ashley Hovan for the Royals for the first time. 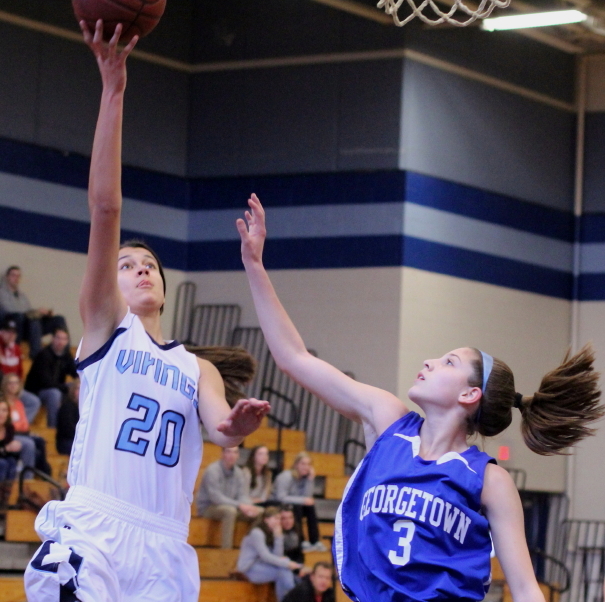 Ashley drained two 3’s in less than two minutes and, combined with a Graceann Conte layup, suddenly G’town had Triton in their sights, 35-31, with nearly six minutes left in the game. A converted rebound by Camille Mihalchik, after a steal and a layup by Morgan Snow, boosted the Triton margin back to eight (39-31) with 4+ minutes to go. Again Georgetown, down but not out, as they tallied seven unanswered points. Four of the points came from free throws, despite missing four straight, and the other points were on Isabel Block’s 3-pointer with 1:50 remaining. Anyone’s game, for sure, at 39-38. 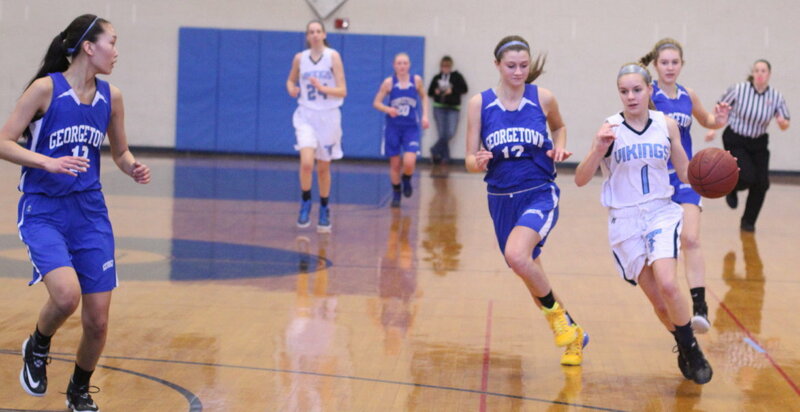 Tessa LaFrance (16 points) scored the key basket for the winners driving down the lane for two and later teammate Morgan Snow hit a baseline jump shot, after a G’town turnover, to restore a 5-point lead. 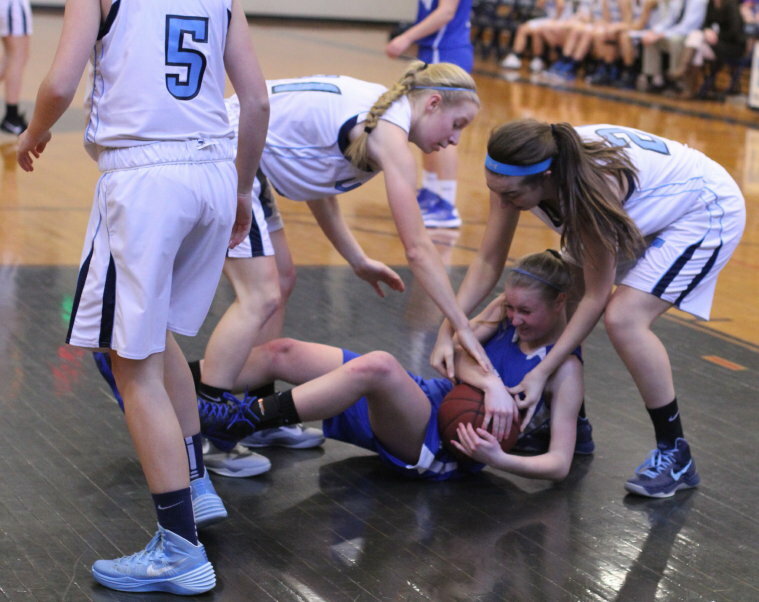 The Royals responded with a free throw (Cassidy Troy) but thereafter inexplicably allowed Triton to run out the last twelve seconds to end the game. Fouling seemed like a logical option to this reporter. Georgetown never led in this game. They next play on Friday at Pentucket. 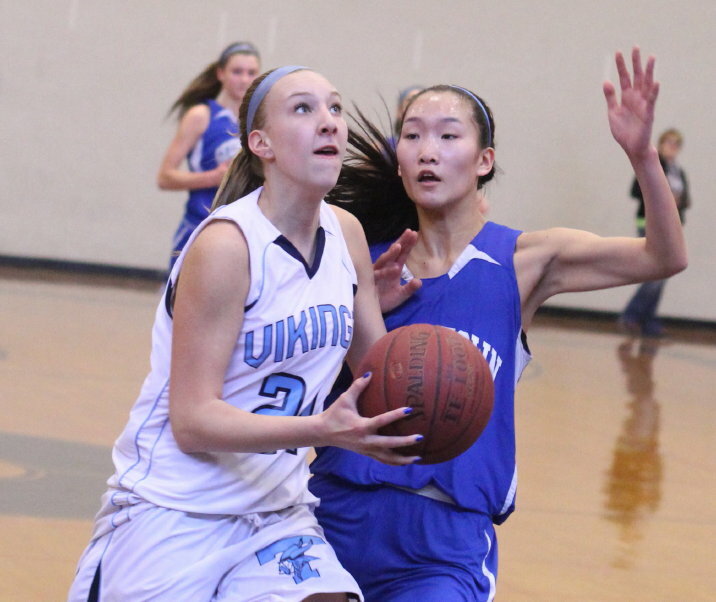 Triton’s next game is hosting Lynn Voc on Wednesday night. 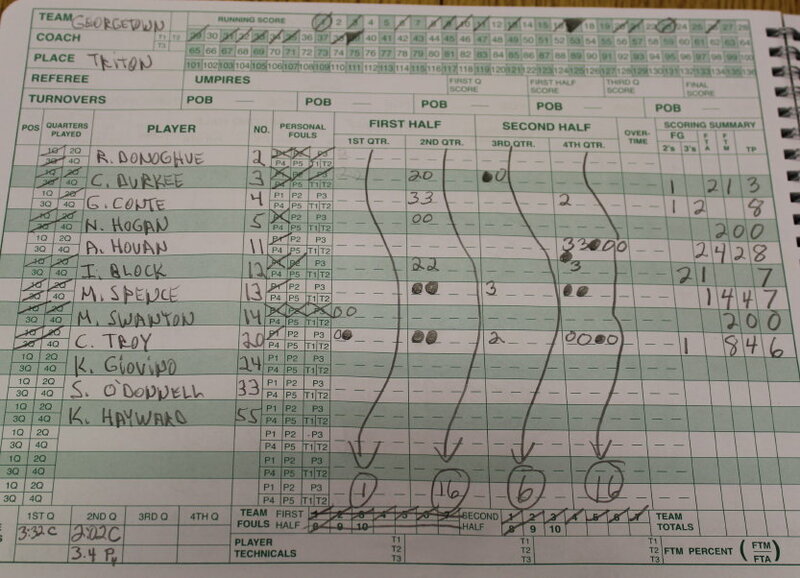 Triton was much taller than Georgetown and had quite a few offensive rebounds. They also had several blocks. On one play in the first quarter, Tessa LaFrance blocked a shot, recovered the ball, and drove the length of the court to score. 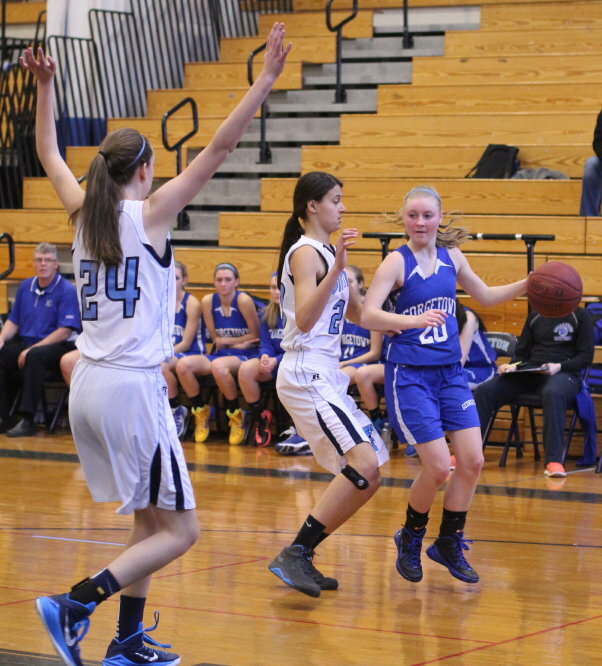 Tessa LaFrance, Erin Savage, and Kayla Durkee were 2nd team Cape Ann League All-Stars last season. Tessa and Erin are sophomores while Cayla is a junior. 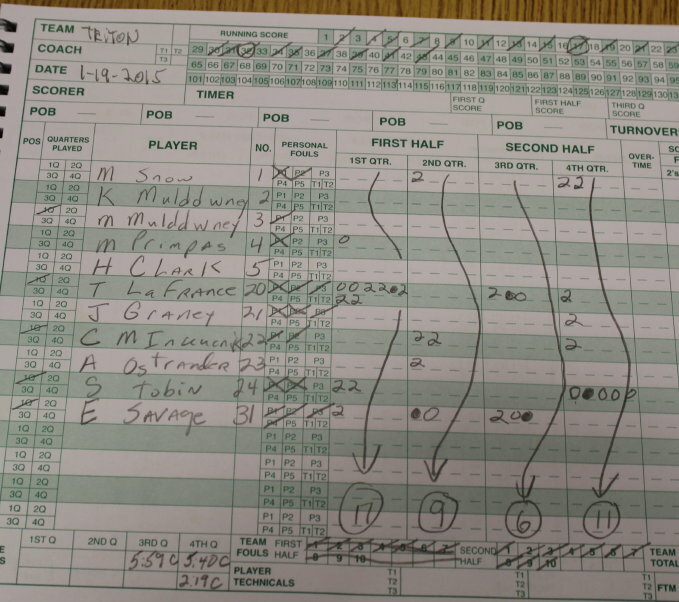 Triton won by four points but missed ten free throws (5-for-15). Two 1-and-1’s were included. Georgetown lost by four points despite missing twelve free throws (11-for-23). In my opinion, the advent of the 3-point shot has lessened the inclination of players to practice foul shots. Good teams are going to make you pay if you foul them.